With testing season on the horizon, late nights and rushed mornings are inevitable. In order to help ease your mornings during this busy time of year, the Torch has gathered some quick and simple recipes to not only meet your early morning time crunch but your nutritional needs too. Step 1: Core the apple and slice it into ½ inch thick disks. Step 2: Spread the nut butter on one slice of apple. Step 3: Sprinkle granola on the nut butter previously placed on the apple. 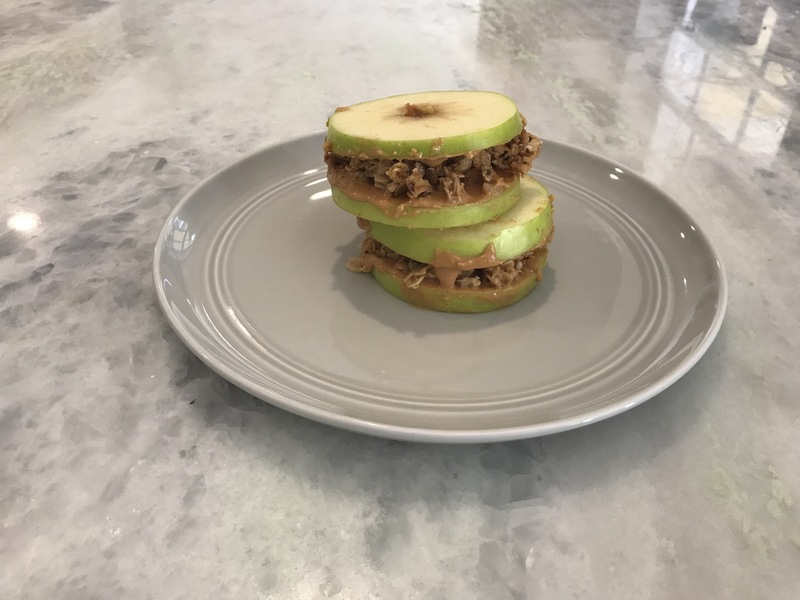 Step 4: Put another disk of apple on top to form a sandwich. Step 5: Make as many sandwiches as desirable following the steps above. Enjoy! As well as being protein packed, this recipe is extremely quick to prepare, having only 3 ingredients. Not to mention, you can always count on this to energize you on the go! Step 1: Get out the empty jar and place the peanut butter inside (if desired). Step 2: Put the rolled oats into the jar. Step 3: Place the greek yogurt on top of the oats already in the jar. Step 4: Pour the milk into the jar. Step 5: Put the chia seeds into the jar. Step 6: Place the frozen berries inside the jar. Step 7: Stir and place in the refrigerator overnight. Enjoy in the morning! This recipe makes morning madness a thing of the past; just take it out of the fridge, grab a spoon, and eat! Now, you can effortlessly hit that snooze button!